Thursday already?! I can hardly believe it! This week makes me excited because as I said last week I'm featuring a lovely momma from last week's hop! Don't forget to pop over to our host Hannah's place to see who she featured. Meet the lovely Vanessa. 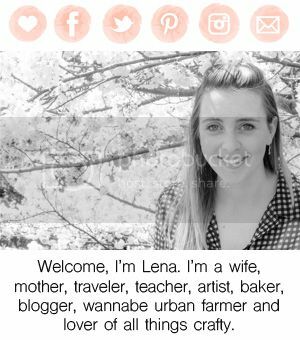 Vanessa started her blog Love this Crazy Life back in 2009 as an online baby book to document the life and growth of her son that allowed her to share with her friends in family. In 2012 the blog changed focus to both a daughter and a son and now that her and her husband have "growing babies check off the list," she is moving away from baby book and in the direction of life as a whole. 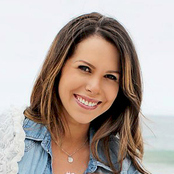 Her DIYs are inspiring, recipes mouth watering, plus her kids are completely adorable! Hop over and check it all out for yourself. I'm looking forward to meeting even more mommas this week. We're doing something new this time around- along with linking up your blog we're requesting you share at least one other momma blog that your frequent so that everyone can enjoy your wonderful find! Thanks again to our host Hannah and my co-host Mia! Now it's time- here are the rules, link up and enjoy meeting other beautiful women and getting to know their precious little ones. 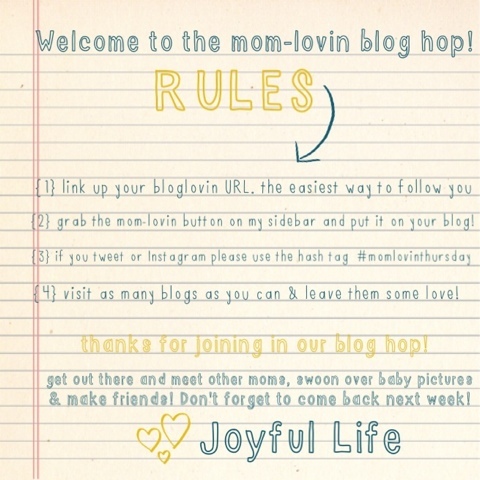 Lovin' the blog hop! PS- you are the spitting image of one of my sorority sisters, it blows my mind! Lena - you are too sweet! This made my day :) I discovered the hop last week and am LOVING it! So many great mamas and blogs to check out. Looking forward to following along! Don't mention it! You're fab and we're glad to have you!